Take the BBQ to the golf course with our BBQ themed Divot Repair Tool. 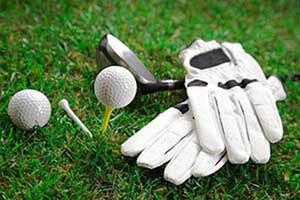 Know someone who is the chief cook when it comes to cooking on the BBQ and loves golf? 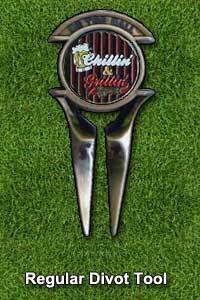 Get them our BBQ themed divot tool for their golf bag. A BBQ themed divot tool is also a great little gift for the golfer you know to celebrate National BBQ Month in May! 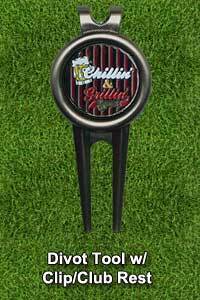 Chillin' and Grillin' BBQ grill ball marker w/ regular divot repair tool. The divot repair tool and trim around the ball marker will be black nickel unless otherwise specified.